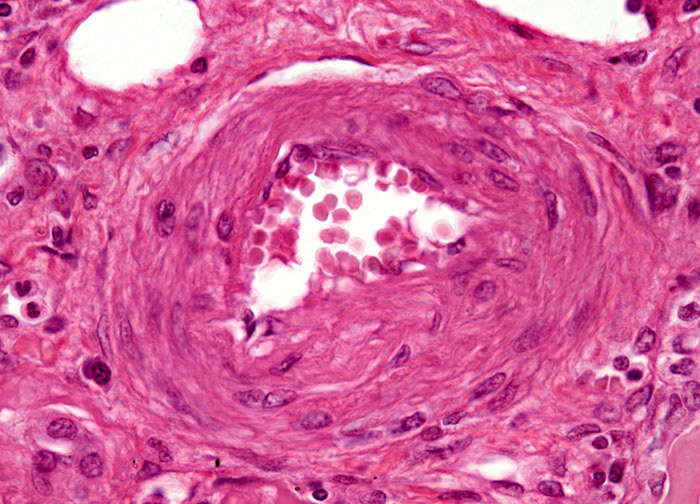 A number of risks linked to the development of arteriosclerosis have been identified. The condition is often related to other diseases, such as diabetes mellitus, hypertension, or scleroderma, which is characterized by abnormal deposits of collagen. Diet is also thought to be a major factor in arteriosclerosis, especially since the most common variety of this condition, called atherosclerosis, involves the deposition plaques composed of fatty materials. Maintaining a low-cholesterol and low-fat diet is often hailed as a good way to lower one’s chances of developing hardened, thickened arteries. Avoiding cigarettes is another way to significantly reduce risk of arteriosclerosis, since smoking is widely acknowledged as a key contributor to onset of the disease. Some risk factors, however, such as a genetic predisposition and aging cannot be controlled.